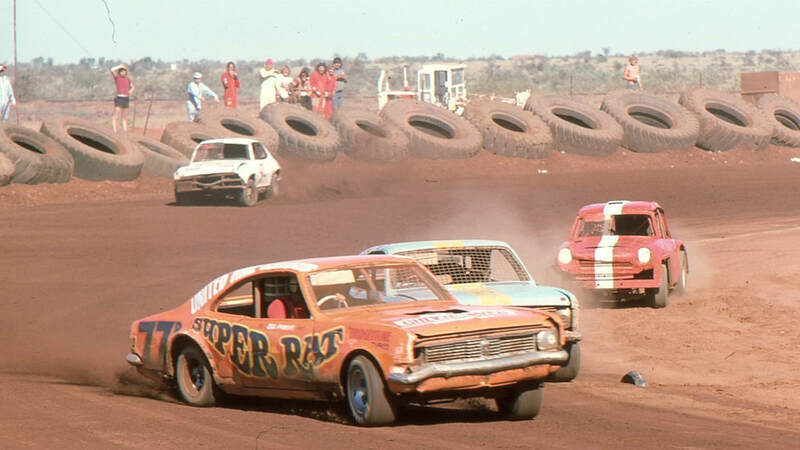 Bill Francis or the Mule as he was known was top dog in the North West during the 1970's, His HT Holden Monaro with him behind the wheel was a match for anyone on the big Port Hedland track. 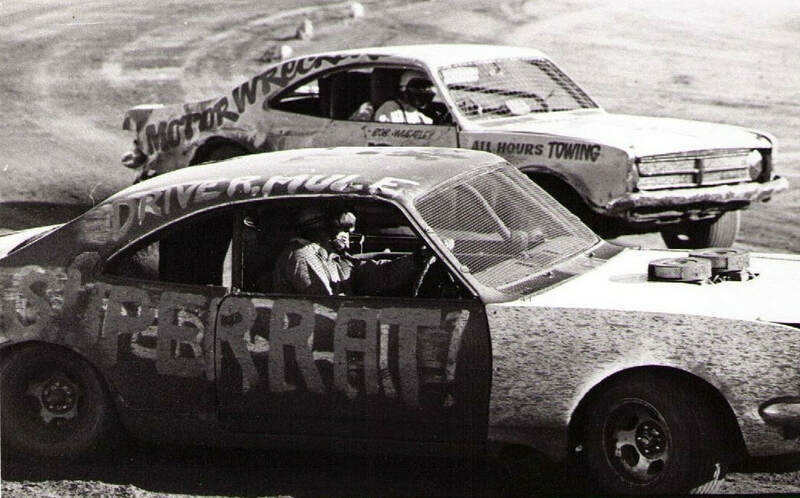 1975 - Bill in the Super Rat ripping up the Pippingarra surface. Photo: Brian Moyle. Alan Kurilowski recalls: This speedway car starts its story in Geraldton, Johnny Williams a former Hedland Speedway racer (Psycho 69) spotted the car and lined up the purchase, My farther George Kurilowski (Chevy George) an enthusiastic mechanic and country speedway supporter, went down to Geraldton from Hedland to pick the car up with Johhny. The car was purchased from an unknown individual, they were unsure if it was the original owner as the car had been stolen and stripped, They picked the car up from the wreckers as a rolling shell and made there way back to Hedland. Johnny was going to build the car up for Chevy George for speedway before his serious car crash on a public road in Hedland, which left him unable to continue with the sport, The car was purchased as a shell, purple in colour and Johnny's intension was to use it to replace (Psyco 69) his EH Holden, George was building the car at the Mule's wrecking yard waiting for Johnny to recover from his accident, Johnny sadly never returned to racing. The Mule obtained the car from Chevy George who continued to build and maintain it for him (Super Rat 77) The car started racing with a 427 l28 Chevy big block, then ended up down sizing once the conrods had been stretched at a meeting, the car ended up with a 350 small block Chevy serving the Mule well. 1975 - Bill Francis in the Super Rat running the 427 Big Block with the twin Holleys prior to the paint and signwriting. Photo: Bill and Jan Francis collection. Bill Temperton recalls: I still remember the night this car was started for the first time in Bill Francis workshop, we were burning the midnight oil and i fell asleep sitting in a supermodified parked next to it, They reckon i nearly came out through the top of the roll cage, The exhaust, four pipes each side came out just behind the front wheels made by his son in-law Brian Bartlett, They were good days, a lot of fun. 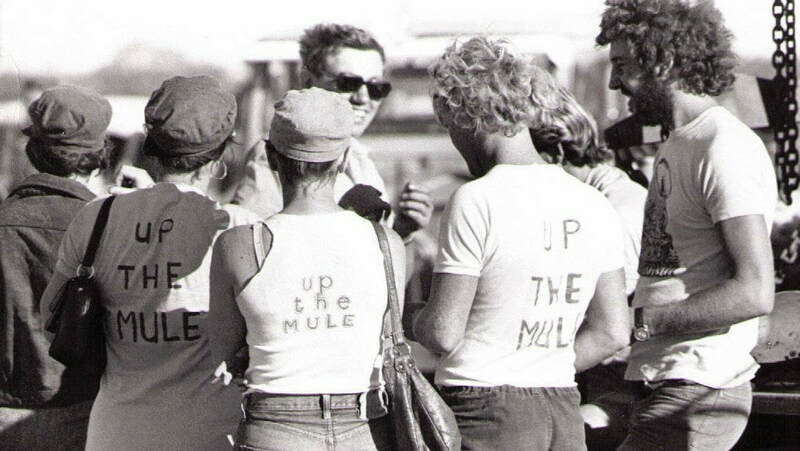 1975 - And the printing and wearing of T shirts in the North West was all the go, up the Mule maybe not the Bill Francis fan club. Photo: Kevin Cotterel.